All the Art Fairs, Events, Parties, Fashion, Art and creativity HERE on my Blog for the best art week in Miami! 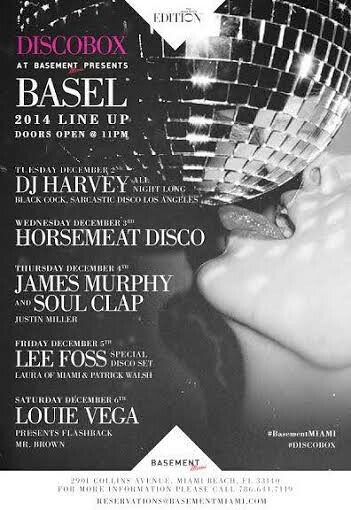 December 4 - December 7, Miami Beach, Florida. The New York Times is hosting an "International Luxury Conference" at the Mandarian Oriental Hotel from December 1st to 3rd with guest speakers including Francois-Henri Pinault, Diane Von Furstenberg, Frida Giannini, Tom Sachs, Diego Della Valle and many more. Tickets are $4250. The UNTITLED Fair returns for the third year with a VIP Vernisage. 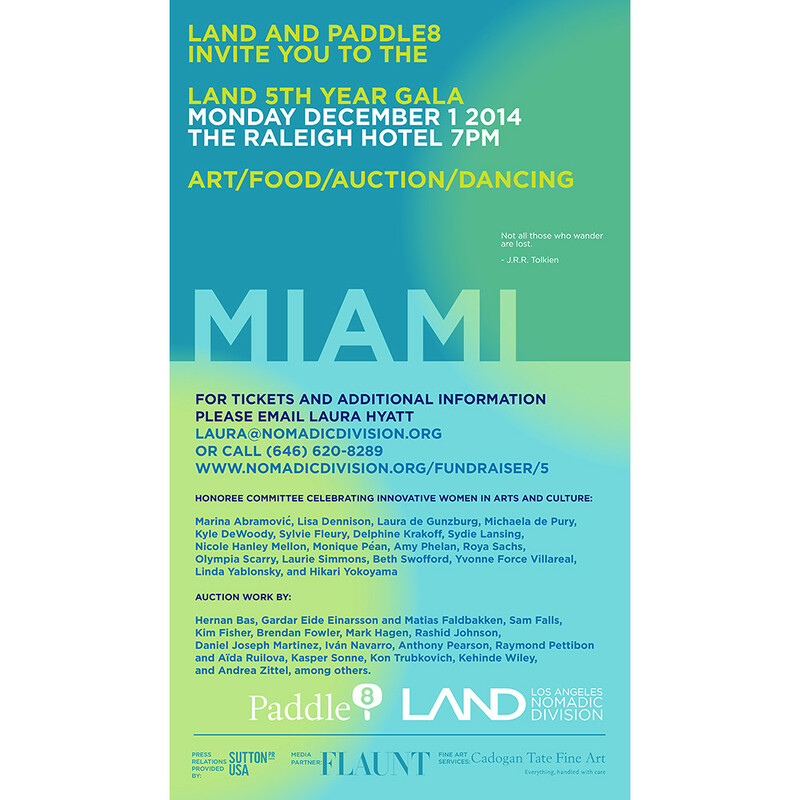 LAND (Los Angeles Nomadic Division) plus FLAUNT and Paddle8 are having their big gala on Monday, December 1st, 7 p.m., at the Raleigh Hotel (1775 Collins Avenue, South Beach). They'll be celebrating "innovative women in arts and culture" with dinner and dancing and a big auction of works by artists including Hernan Bas, Sam Falls, Brendan Fowler, Rashid Johnson, Raymond Pettibon and others. Tickets are available HERE. 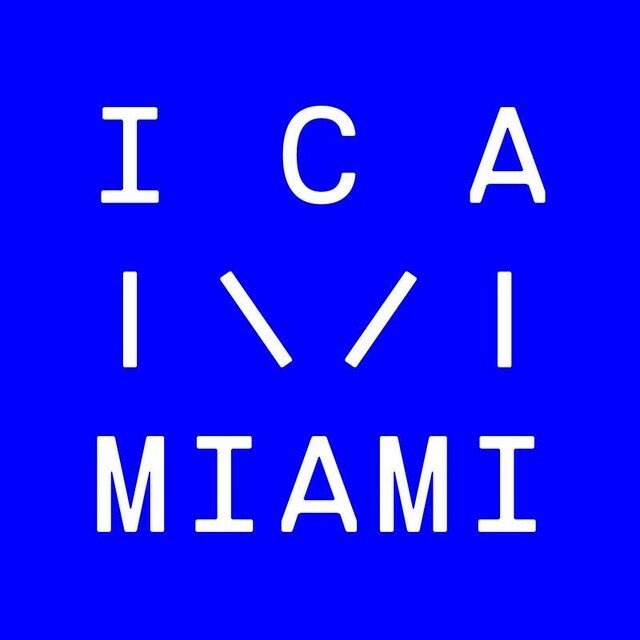 The Bass Museum of Art (2100 Collins Ave., Miami Beach) will be celebrating their 50th anniversary with a big gala on November 1st and, during ABMB, they're planning an exhibition called "One Way: Peter Marino" curated by Jerome Sans. The opening VIP reception is the evening of December 3rd and it will be open to the public from the 4th until March 29, 2015. 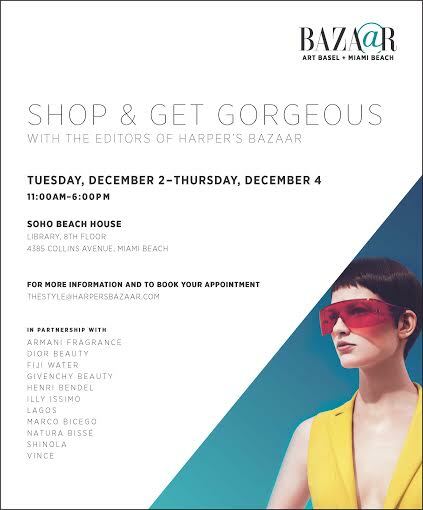 The boutique, located at Soho Beach House, will feature fashion and beauty brands including La Perla, Henri Bendel, Natura Bisse, VINCE., Givenchy Beauty, Dior Beauty, and Armani Fragrance, among others. 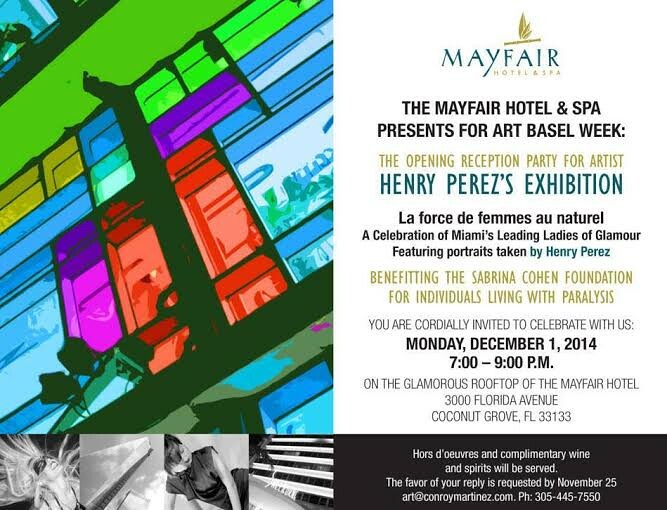 Concept will be held aboard the Seafair mega-yacht, docked downtown at Bayfront Park (100 Chopin Plaza, Miami) from December 3 to 7 with VIP previews on the 2nd from 6 to 10 p.m.
Interview Magazine and Institute of Contemporary Art, Miami #OpeningCelebration! 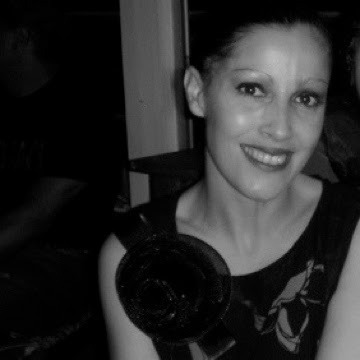 Le Baron Ten-Year Anniversary. FDR at the Delano, 1685 Collins Ave., Miami Beach. 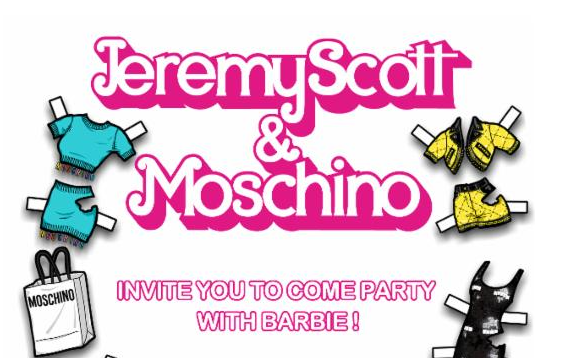 Doors at 11 p.m.; access limited to VIPs and invited guests. 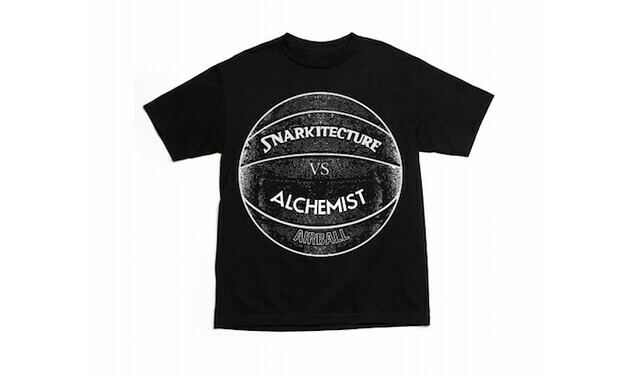 Visit lebaronparis.tumblr.com. 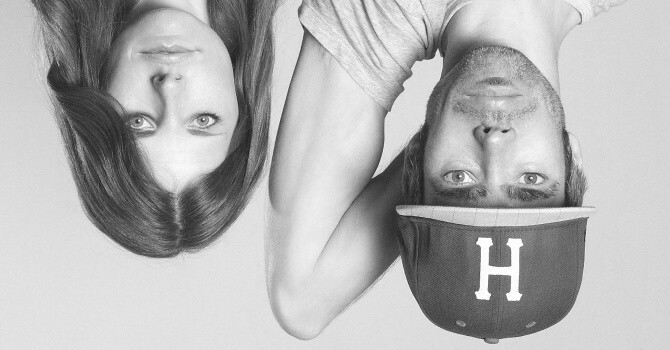 PAPER faves Studio Job will be on view at Design Miami/2014 in the Carpenters Workshop Gallery. The Dutch/Belgian collective have re-imagined several global landmarks like the Taj Mahal and the Eiffel Tower, and transformed them into incredible "functional" sculptures. 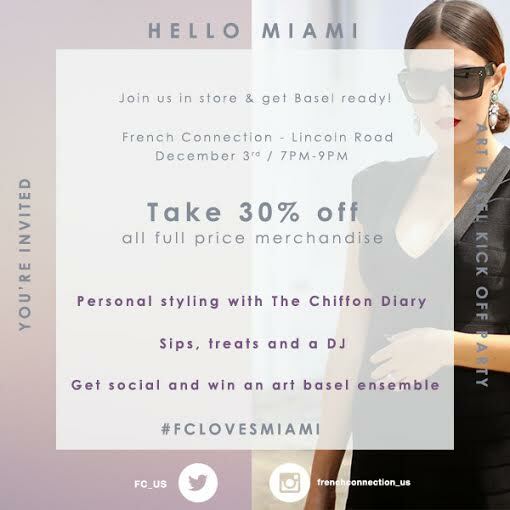 Art Basel Kick Off Party at French Connection store on Lincoln Road on Wednesday, December 3rd. During Art Basel Miami Beach week, fans will finally get the chance to see all 47 put on public display as part of the mixed-media exhibit "i feel ya: SCAD + Andre 3000 Benjamin," coming to Mana Wynwood, from Wednesday, December 3, through Sunday, December 14. 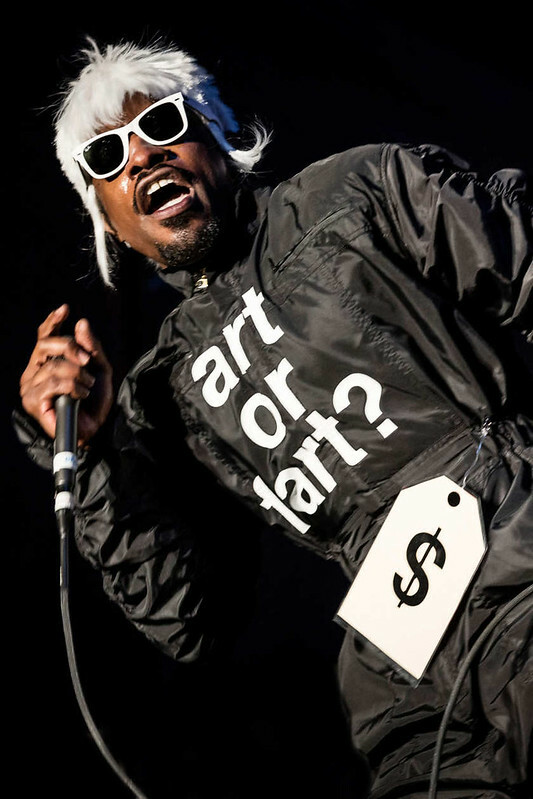 By displaying his 47 jumpsuits and other work, Andre 3000 and his friends hope to spark a conversation about culture, media, and our place amid it all. Ian Schrager (and Marriott) launch their latest Edition hotel (2901 Collins Avenue at 29th Street) with parties from top to bottom. 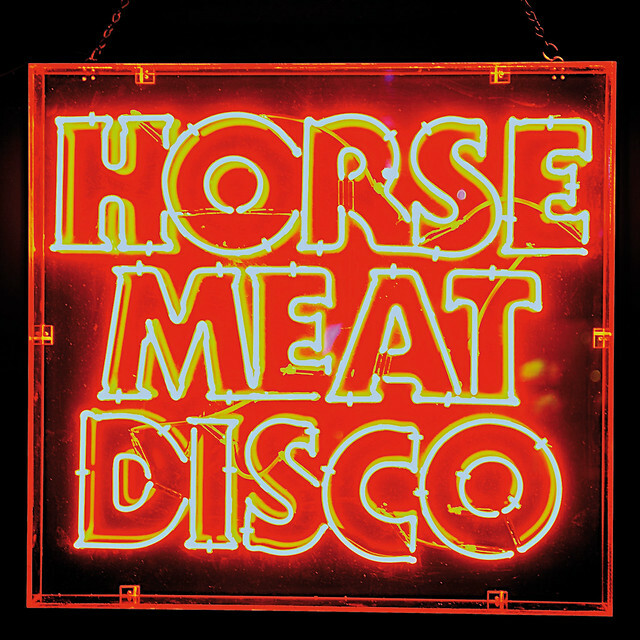 On December 3rd, there's a private dance party with London's Horse Meat Disco DJs in the basement in honor of the hotel's designers George Yabu and Glenn Pushelberg. And in the penthouse, Absolut Elyx will create an private, pop-up club called Casa Elyx with cocktail parties, book launches etc. happening all week. on December 7th from 3 to 7 p.m. 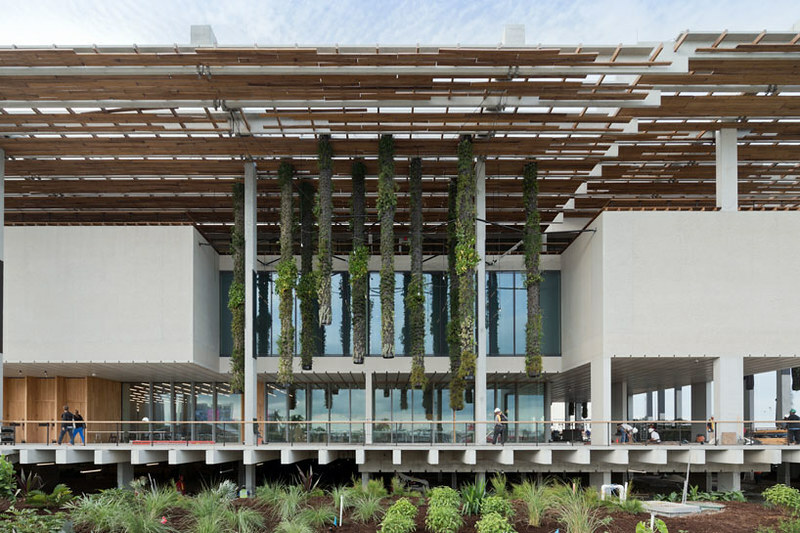 The Perez Art Museum Miami (1103 Biscayne Boulevard, Miami) hosting a big party on December 4th, 8 p.m. to midnight, with the electronic supergroup Future Brown (Fatima Al Qadiri, Asma Maroof and Daniel Pineda of L.A.'s Nguzunguzu and J Cush, founder of NYC record label Lit City Trax) along with special guests including L.A. singer Kelela, Total Freedom from L.A.'s "Wildness" parties, Ian Isiah and Maluca. The band will play on a special stage with an extreme-watersports performance on Biscayne Bay as the backdrop. The party is a DIS Magazine and THV Entertainment production. British-born, US-based footwear and accessory designer Paul Andrew visits South Miami’s premier independently-owned luxury shoe and handbag boutique Capretto Shoes to present his latest collection. 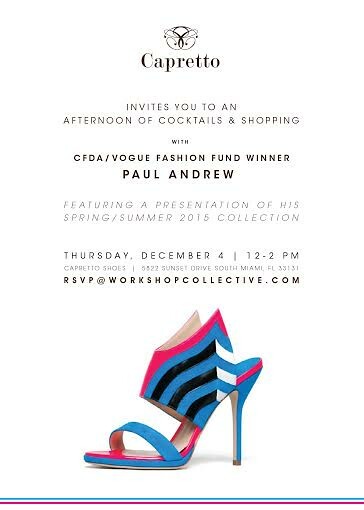 Beloved Coral Gables boutique Capretto invites guests for a special in-store event on Thursday, December 4th from 12–2pm to meet the designer and shop Paul Andrew’s Spring/Summer 2015 collection. 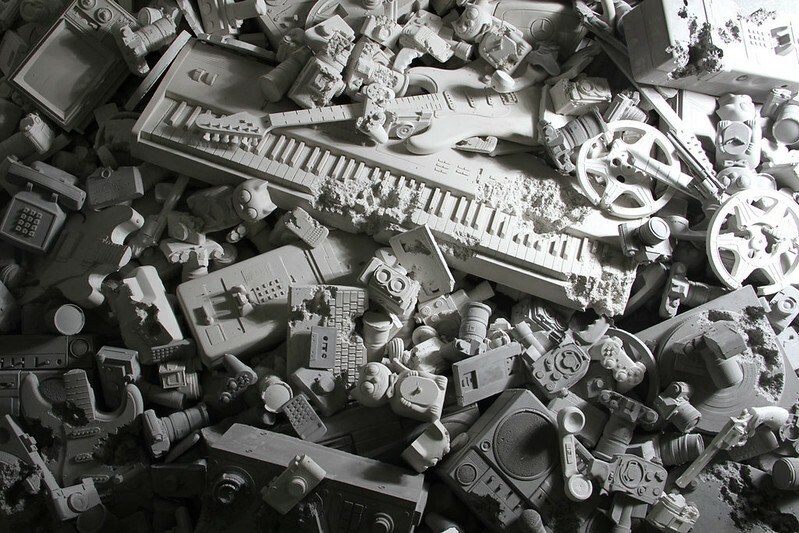 Local Miami gallery, Locust Projects (3852 North Miami Avenue, Miami), is presenting Daniel Arsham's "Welcome to the Future," the installation will included an excavation of the gallery's floor, filled with thousands of "calcified, 20th Century media devices." 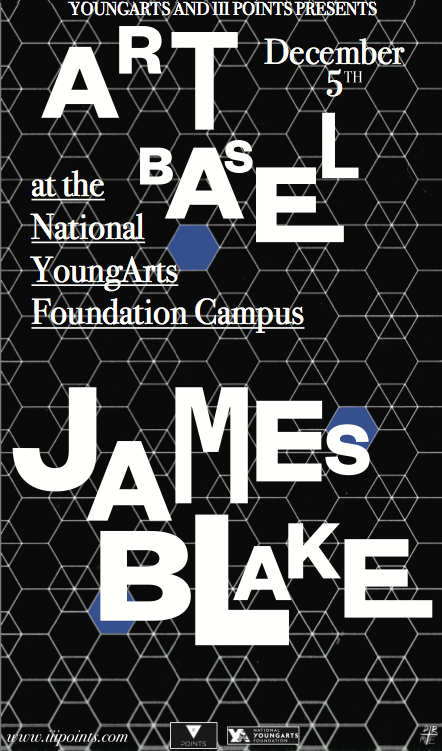 The opening reception is Thursday, December 4, 7 to 10 p.m. Meanwhile, check out James Franco while he destroys some artifacts HERE in Arsham's new short film. 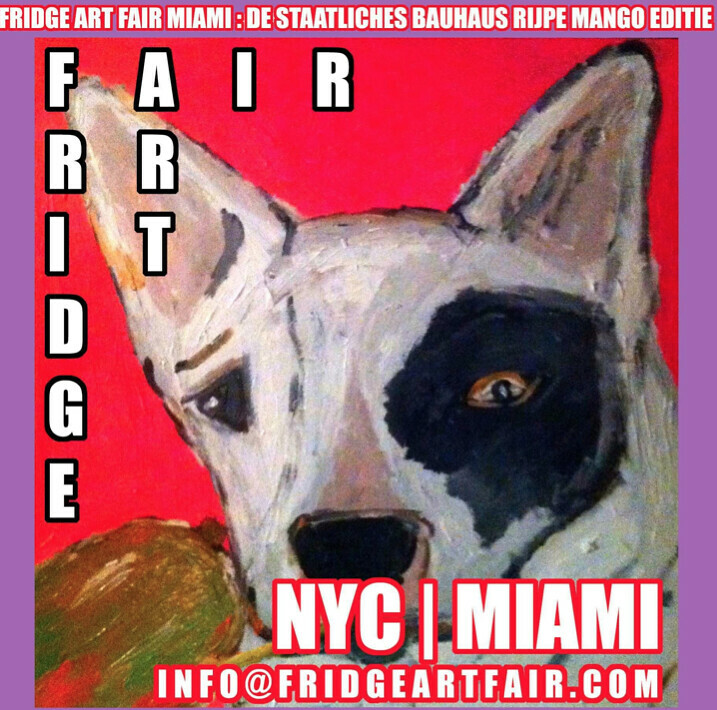 Fridge Art Fair returns for second year. 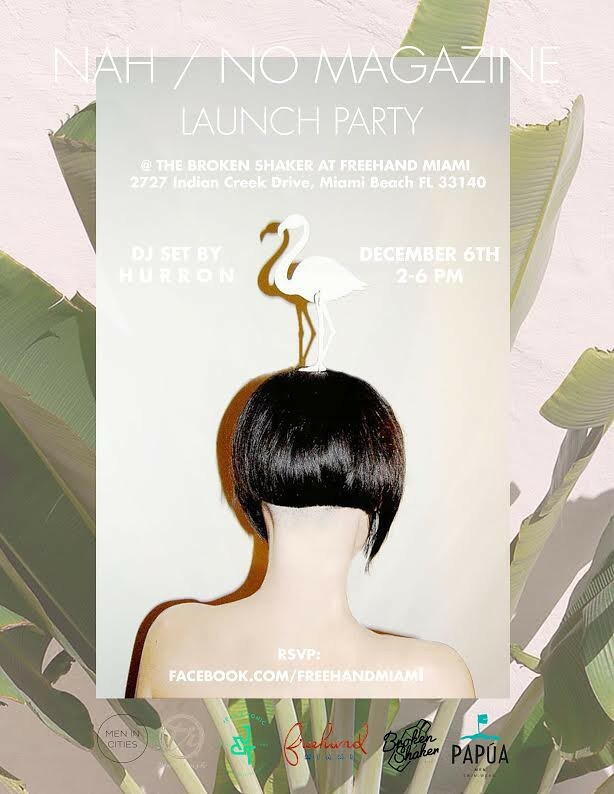 Their "Mega Mango Miami: The Great Opening" preview is on Thursday, December 4, from 2 to 8 p.m., with an afterparty at the infamous "den of iniquity," The Ball & Chain (1513 SW 8th Street, Miami) in Little Havana starting at 9 p.m.
Disaronno Terrace at The Gale Hotel (1690 Collins Avenue, South Beach) will open a special "rooftop" edition from 7 to 10 p.m. on December 4th. 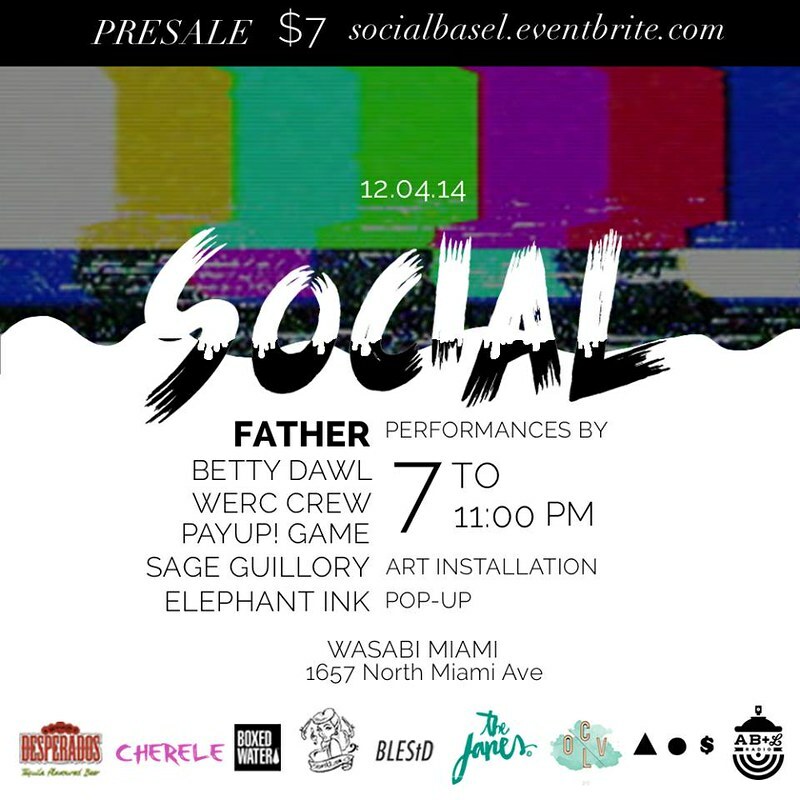 For Art Basel we present SOCIAL, a platform where we bring underground artist/creatives and influencers to Miami. 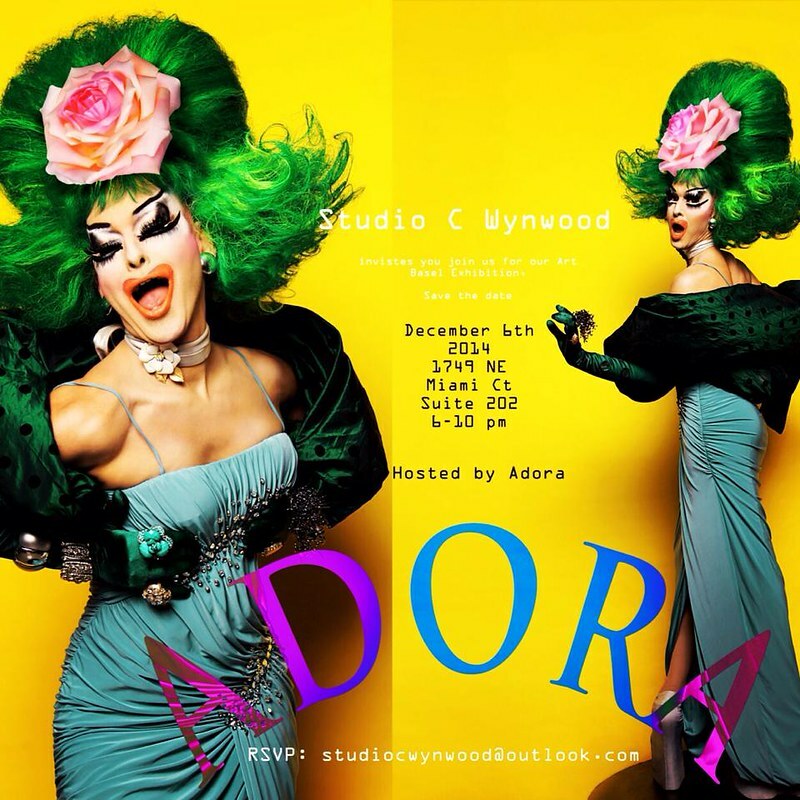 Bossa Nova Civic Club, is doing a pop-up during AB/MB on Thursday, December 4th, 10 p.m. to 5 a.m. at Gramps (176 NW 24th Street, Miami). 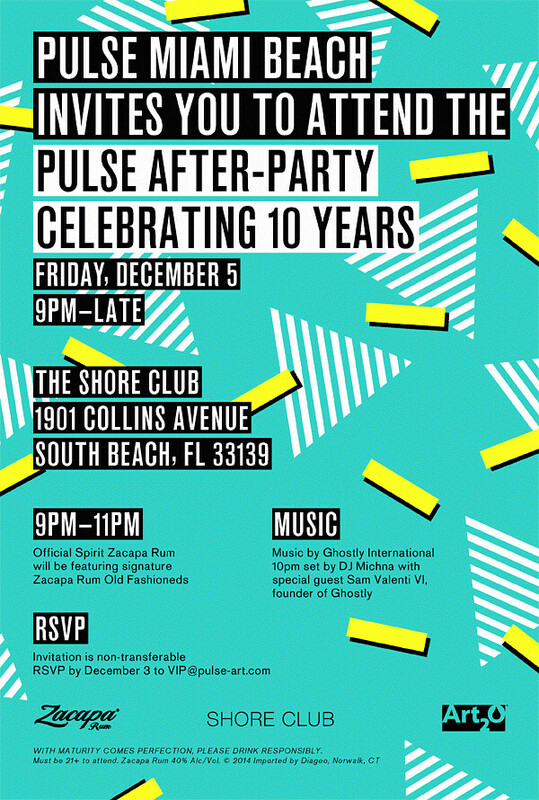 DJs on the night are Jacques Renault, Marcos Cabral, Aurora Halal and Dust. is on Saturday, December 6th. Latest exhibition, "Screen Play: Moving Image Art," opening in November and on view throughout Art Basel. The show explores the moving image and it's relationship to other media over a period of six decades via artists including John Baldessari, Joan Jonas, Nam June Paik, Merce Cunningham and others. 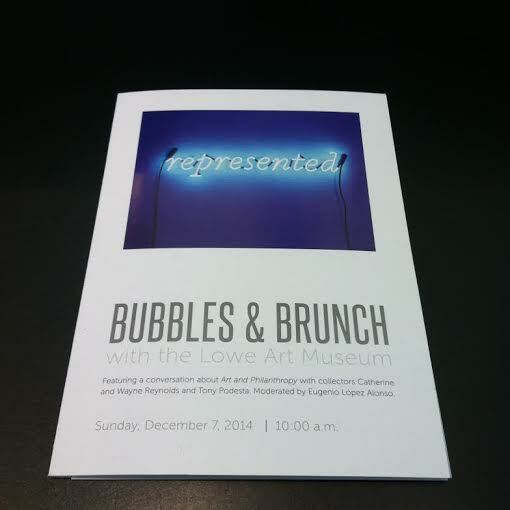 It was curated by Lori Zippay of Electronic Arts Intermix. and a first look at Issue #1. Also on tap: pop-up shops by VidaKush, Lost Boy Dry Goods, Style Mafia,Men In Cities, Papua Swimwear, Jean and Tonic and Trend Rush. 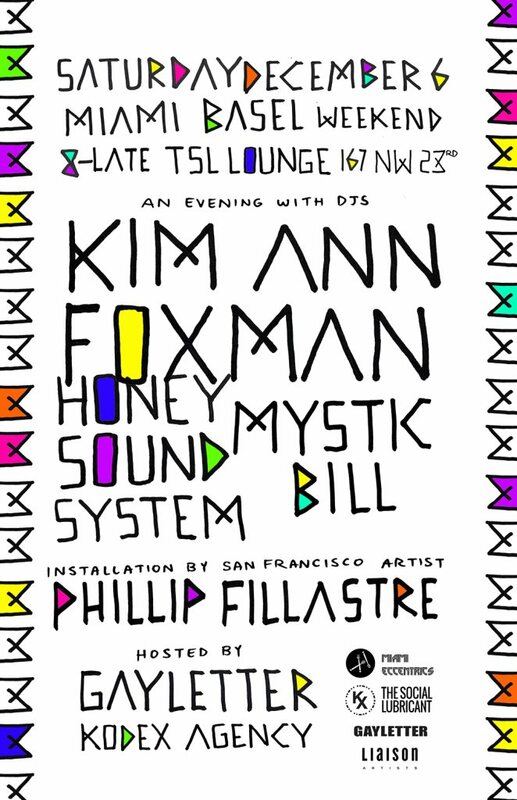 Music by Kim Ann Foxman, Honey Soundsystem and Mystic Bill. 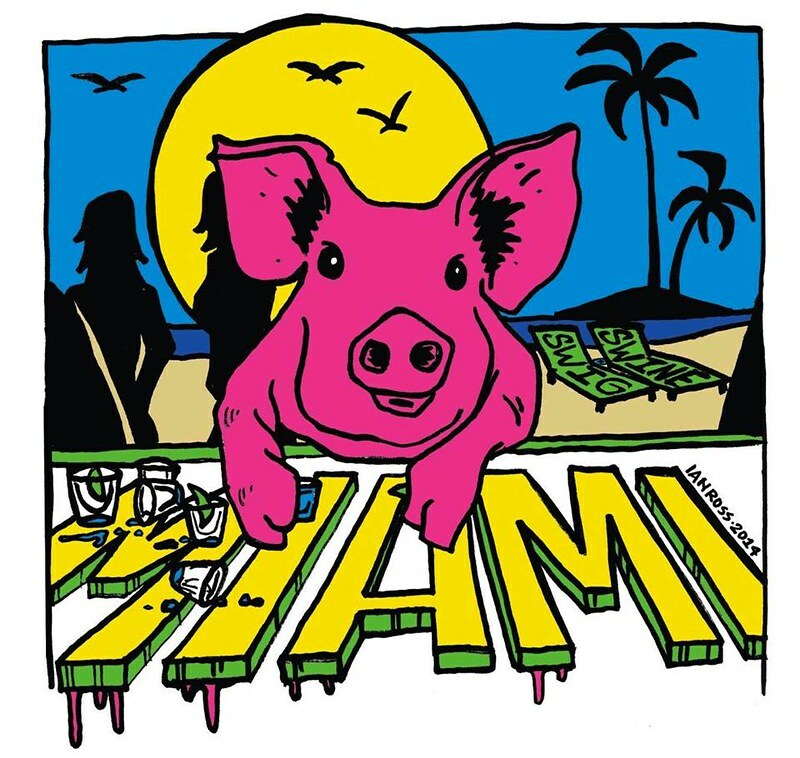 Fill up on art, pig and punch at Bon Vivants’ Art Basel hangout/BBQ benefiting Overtown Youth Center. 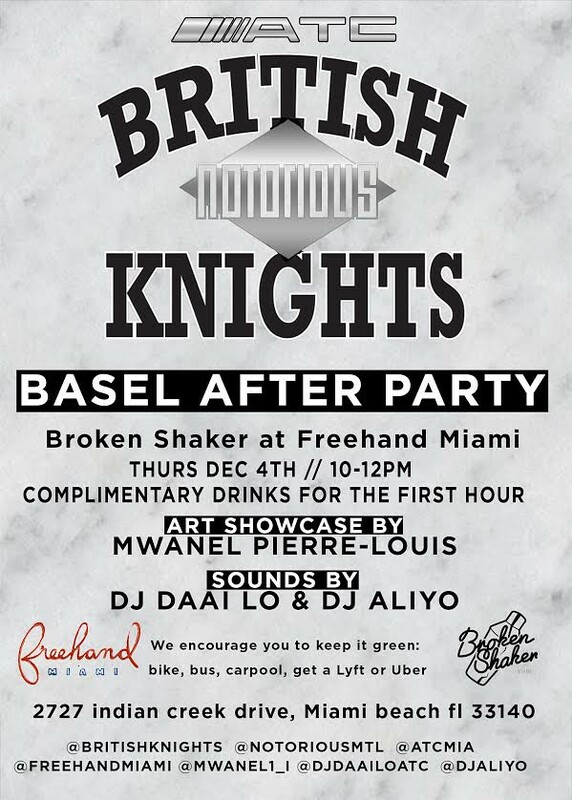 Highlights include live painting by acclaimed graffiti artist Ian Ross and live DJ sets by Myles Hendrik and Mia Moretti. Come hang out! 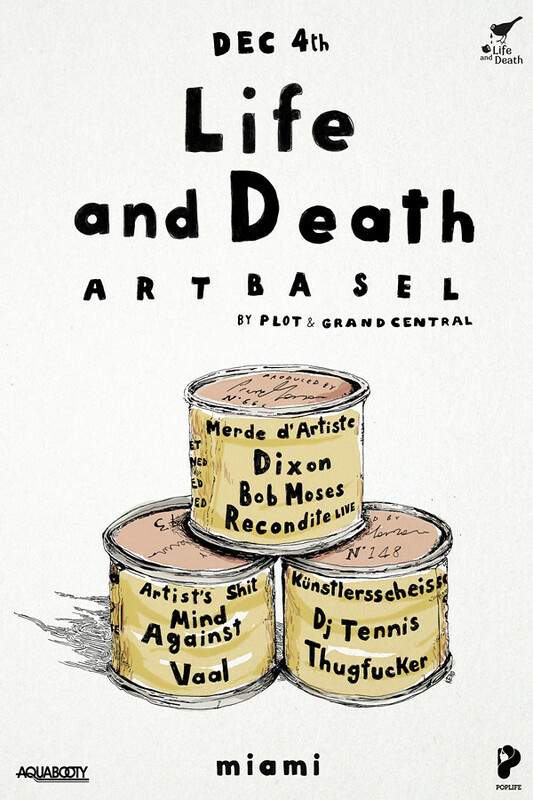 Check my Blog everyday for Art Basel Updates!